Hannah graduated from the University of Oxford with a degree in Philosophy, Politics and Economics. She completed a law conversion at City University in 2015 and studied for an LLM in Public Law at University College London. The focus of her dissertation was on the principle of the best interests of the child in immigration matters concerning children. Hannah joined the immigration department at Wilson Solicitors in September 2016. 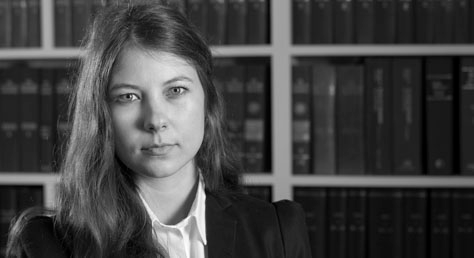 She provides advice and assistance in a wide range of immigration, asylum and human rights cases. Hannah has volunteered with an initiative that organises workshops on the asylum process for residents of the unofficial refugee camp in Calais. She is currently involved with a pro-bono project that aims to provide support to migrants in the preparation of direct applications for Exceptional Case Funding. Hannah is on the Executive Committee of the Haldane Society and is a contributor to the UK Human Rights Blog.